Actively engage students in their own learning. Discover strategies to promote student mastery of the Common Core State Standards for English language arts across the curriculum. Explore techniques to lead students in close reading, activate their background knowledge to prepare them for learning, and gain insight into habit formation. Youll develop the know-how to effectively structure teaching to empower all students. Understand the components of engaged classrooms, and create an environment where students are active participants in their learning. Structure learning that encourages students to work smarter, not harder. Teach students to engage emotionally with text and to retain and explain what they read. Distinguish between top-down, passive classrooms and two-way engaged-for-success classrooms that promote higher-level thinking and learning. 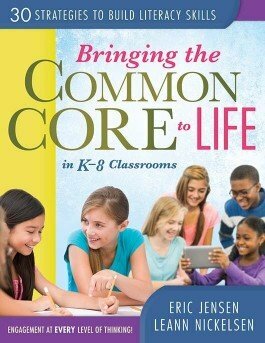 Complement lesson plans with CCSS-based activities, lists, and other reproducibles.